Description: While M1 may have been a nuisance to Charles Messier as he attempted to discover new comets, the Crab Nebula is a fascinating object to astronomers today. Dr. Tim Hankins of New Mexico Tech talks about the strange physics exhibited by the pulsar embedded in the Crab Nebula — including softball sized emitters, giant pulses and more! 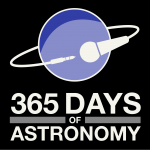 Today’s sponsor: This episode of “365 Days of Astronomy” is sponsored by NRAO. 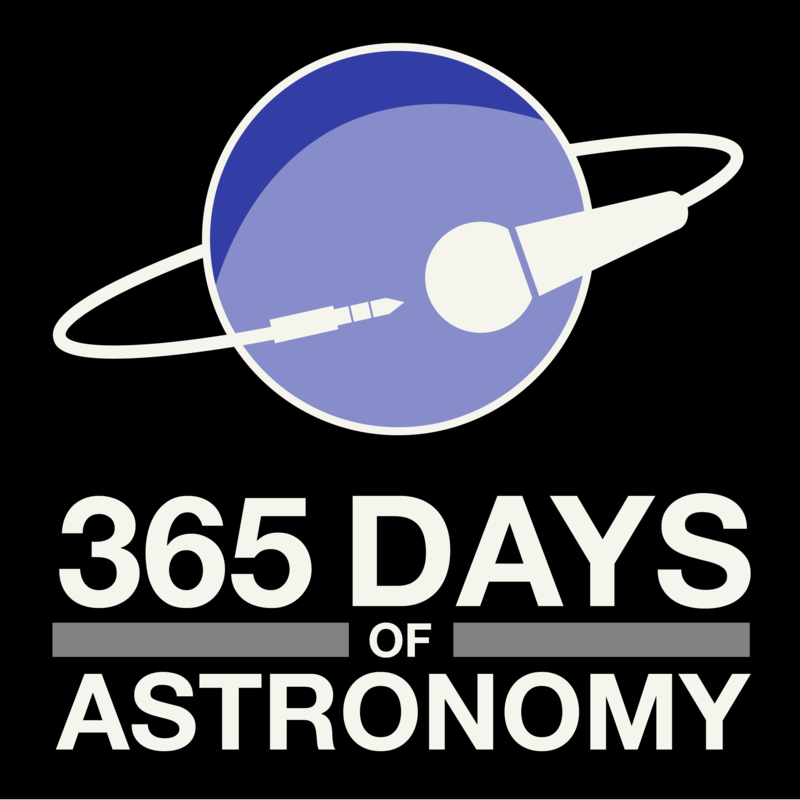 SUE ANN HEATHERLY: Welcome to this edition of 365 Days of Astronomy Podcast. I’m Sue Ann Heatherly, with the National Radio Astronomy Observatory. And this month we’re talking with Dr. Tim Hankins, an Astronomer with New Mexico Tech, out in Socorro, NM. Tim has been with us here for a couple of weeks in Green Bank, using the Green Bank Telescope. Tim, welcome to the program. TIM HANKINS: Thank you, Sue Ann. It’s certainly a pleasure to be here. SUE ANN HEATHERLY: So, you are here using the Green Bank Telescope to study an object that I think some of our listeners will be somewhat familiar with. It’s an object on the Messier List. In fact, it’s called M1, the Crab Nebula. And while the Nebula itself is interesting to study at all different wavelengths, what’s of interest to Tim is the pulsar which resides inside. Tell us a little bit about what you’re doing. TIM HANKINS: Well, the, uh. . .the ultimate objective of what I’m trying to do is to understand why pulsars do what they do. Why is it that we see ra. . .radio radiation? How is it that they convert the energy of rotation to radio signals? You take an ordinary star, like the Sun, which burns hydrogen to make heat. And it’s that heat that keeps it from collapsing under its own gravity. Well, what happens when the hydrogen is used up? The star collapses. One of the possible outcomes of this collapse, after a star has used all it’s fuel, is a pulsar. And angular momentum is conserved. So, like a spinning ice skater, when she pulls her arms in, spins faster. You take an object like the Sun, which spins once every twenty-seven or eight days, or nine days – something like that – and collapse that down to the size of a pulsar, which is about ten kilometers in radius, the object is going to be spinning fast. Well, part of this collapse is a Supernova explosion. It’s really a violent thing which has produced the Crab Nebula, which many astronomers have seen. And in the center of it is this pulsar, which is spinning at, uh. . .about thirty times a second. Now, this explosion occurred on July 4, appropriately, in the year 1954. So the Crab Pulsar, as we call it, is the youngest of the known pulsars. Now, the discovery of the Crab Pulsar was really kind of interesting, and I won’t go into that, except that it was discovered here at Green Bank very soon after the original pulsar discovery, because it was producing, occasionally, very strong pulses, which we’ve come to call giant pulses. SUE ANN HEATHERLY: Let me, uh, step back for a second and. . .uh, reiterate. The Crab Nebula used to be a star. . .
SUE ANN HEATHERLY: . . .and it ran out of hydrogen and collapsed. . .
SUE ANN HEATHERLY: . . .rebounding part of it, anyway, into a gigantic explosion called a Super Nova. SUE ANN HEATHERLY: That left behind a tiny object, with the mass of the Sun, that spins thirty times a second. SUE ANN HEATHERLY: All right. And you see a pulse of radio waves for every spin? TIM HANKINS: Well, for most pulsars, or many pulsars, you do. We, we, we think of it – like to think of it – as a lighthouse beam. And every time that beam sweeps past us on Earth, we see a pulse and; hence, the name pulsar. Then there are a couple of pulsars that occasionally produce really strong pulses, and the Crab is one of them. Now we get back to my original objective, and that is to try to understand why pulsars produce radio radiation. Pulsar signals tend to be pretty weak, and we decided some years ago that we had to get the best possible time resolution in order to study the signals really carefully to find out what, what are the fundamental emitters. And, uh. . .some of my, uh. . .theoretician colleagues had predicted that we should see very short structure on the order of a nanosecond. Well, now we have the perfect case for the scientific method. We have a theory that makes a prediction. I designed an experiment to test this theory, and, uh. . . sure enough, it worked. I found a structure that was unresolved with the best time resolution we had at that time, which was about two nanoseconds. And then, after a couple of years, I improved things, and we got down to four-tenths of a nanosecond. That’s four-tenths of a billionth of a second. TIM HANKINS: Now, in order for something to emit a pulse that small, if you take the conventional assumption, the object that emits something that small can’t be any larger than the distance that light would travel in that four-tenths of a nanosecond. That’s about eight inches. TIM HANKINS: Yes. So, these objects may be – that are producing these really short pulses – may be the size – a little bit bigger than a softball. SUE ANN HEATHERLY: On the pulsar. On the. . .or. . .
TIM HANKINS: Well. . .
SUE ANN HEATHERLY: Or. . .or something. . .
TIM HANKINS: Something in the. . .
SUE ANN HEATHERLY: . . . in the vicinity. TIM HANKINS: Something in the, uh, atmosphere of the pulsar. Now, it, it could be that there are some relativistic effects that let these things be a little bit larger than that. But if we take a. . .you know, a conventional assumption, we’re looking at things that are really small, and the Crab is about six thousand light years away. So, these things are powerful. Some very interesting physics going on. SUE ANN HEATHERLY: So, what could they be? SUE ANN HEATHERLY: Speculate for us. TIM HANKINS: Um. . .I, I, I have a, a. . . you know, a buzz word that I use. Uh, they’re. . .they. . .the predictions that these would be caused by collapsing solitons. Now, what’s a collapsing soliton? I’m not going to go into that, because I’m not sure I really understand them myself. But essentially, there is some violent turbulence going on in the plasma that is the. . .and the plasma there, and the atmosphere of a pulsar is weird stuff. It’s electrons and positrons, rather than electrons and protons, which we usually think of as a plasma. So, as I say, there is some really strange physics going on. It’s hard stuff. But fortunate. . .I’ve been fortunate to work with a couple of people who really understand that stuff, which is kind of nice. SUE ANN HEATHERLY: Why do you think there are so few of these objects that have the giant pulses with these short time structures? TIM HANKINS: Well. . .uh, the first answer would be – well, the Crab Nebula Pulsar is the youngest one. And all the rest of the old ones, they don’t do that anymore. But one of the oldest pulsars that we know about, the original millisecond pulsar, which is rotating at. . .it’s much faster. It’s. . .rotates once every one and a half milliseconds. It produces giant pulses too, and it’s. . .it’s millions and millions of years old. So, we don’t know why some pulsars produce giant pulses, but they’re strong enough for us to get down to this really fine time resolution, and that’s what I’ve been studying. SUE ANN HEATHERLY: Tell us a little bit about what you’ve been doing with the Green Bank Telescope in your two weeks here. TIM HANKINS: Okay, so we found this really sort structure. If you think of the, uh. . .this lighthouse beam that’s sweeping past us. Some pulsars appear to have beams going in opposite directions. So, in one rotation time, we see two pulses. And the Crab has two pulses. We call it a main pulse and an intrapulse. I was looking at the frequency structure of the intrapulse, and I found that it had bands; that is, there were bands of emission at a particular frequency, and then a blank space; and then at a higher frequency, more bands. At first, I thought, well, there must be something wrong with my data analysis programs. This is weird; we don’t see that. I’ve completely rewrote the software and found they’re still there. The band spacing is about six percent of the. . .the frequency at which we look – the radio frequency. So, I had been doing my work at the Arecibo radio telescope, which goes up to about ten gigahertz in frequency. I wanted to see if the six-percent-rule extended up to higher frequencies, so I came here to use twenty gigahertz in higher frequencies, and sure enough, six percent maintains. Well, this lays to rest some of the theories that had been developed to predict this banded structure. Some of them now can, uh, be dismissed – thank you. So, again, we had a perfect scientific method, you know. We have a hypothesis and designed an experiment to test it and form a conclusion. So, that’s what I’ve been doing here is, uh, measuring these intrapulses. I didn’t know if we were going to see anything – any pulses – because this is unexplored territory, these high frequencies. Most pulsar signals are at much lower frequencies. SUE ANN HEATHERLY: So, does that make the Crab Nebula Pulsar unique? TIM HANKINS: Yeah, there are half a dozen pulsars that are known to emit at high frequencies, but none of them are nearly as strong as the Crab. SUE ANN HEATHERLY: And the main pulse does not have banded structure? TIM HANKINS: No banded structure in the main pulse. SUE ANN HEATHERLY: And are the giant pulses separate from either the main pulse and the intrapulse, or do they occur on some time frequency with the main pulse? TIM HANKINS: They can occur either at the rotation phase of the main pulse or the intrapulse. SUE ANN HEATHERLY: Is there any regularity to them? TIM HANKINS: No. No, they’re. . .it, at, at – that’s really strange. When we were looking at these things last week, we found that they would come in bursts. For about fifty seconds or a minute, we would see a lot of them; then nothing. Then ten minutes later we’d see another burst, and then nothing for a half an hour. So. . .so this can be a little frustrating. SUE ANN HEATHERLY: No kidding. TIM HANKINS: But, um. . .
SUE ANN HEATHERLY: But mysterious and intriguing as well. TIM HANKINS: Indeed. And, of course, there may be some. . .some easy explanations for this, but I, I really think – well, I really don’t know what’s going on with them; why, why they have these bursts. SUE ANN HEATHERLY: I find it fascinating. You know, your. . .your classic case for a pulsar – the story that we told at the beginning of the interview – makes perfect sense. And then, you’ve got this pulsar here with all these mysteries. I’ve never heard of banded structure before, until just one minute ago. TIM HANKINS: Well, I hadn’t seen it before I found it, and nobody else had either. And that’s what I say, it was just so strange that I just. . .I really had a hard time believing it. But then, see, one of the. . .one of the funny things is that these giant pulses, at the frequencies I was using, occur much more frequently at the phase of the intrapulse than they do of the main pulse. And it turned out that I had only gotten intrapulses. So, I had to go back and see if I could find main pulses. And when I did, I could see a main pulse. And then, a minute later, I see an intrapulse, with banded structure, and the main pulse didn’t have any. SUE ANN HEATHERLY: That’s. . .
SUE ANN HEATHERLY: That’s great. I love it. So, I. . .I hope that you’ll come back and talk to us some more as you uncover more and more details of this. You sound like you’re making some progress – at least. . .at least winnowing out some theories for the banded nature of the pulses. So, that means you’re honing in on some truth. TIM HANKINS: Yeah, well, I think we’ve made some real progress, but there is some little things in the data that we recorded this last week which we don’t understand. So, we’ll be back. SUE ANN HEATHERLY: All right. Thanks for joining us today, Tim. I really appreciate it. TIM HANKINS: My pleasure indeed.